UK startup GroupSpaces.com, which aims to be the number one choice for organizers of real-world groups, has secured $1.3 million in funding from Index Ventures plus a range of world class angel investors. This is great news for other European entrepreneurs who think that Silicon Valley expertise and funding is out of their reach and will hopefully quash the old-age debate of which location is better to grow a tech start up: Silicon Valley versus Europe. 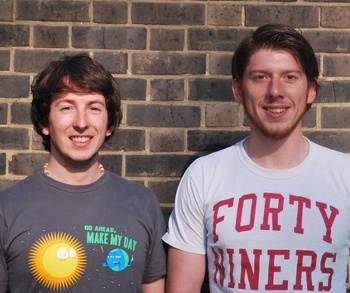 Founders David Langer, 24 and Andy Young, 25, who set up the company in 2007 whilst studying at Oxford University, say they will be using the funding to expand their engineering and marketing teams. The key to GroupSpaces’ platform is that group organization is integrated, so instead of having a Yahoo! Group for a mailing list, member records in Excel and collecting payments through cash or cheques, GroupSpaces provides one set of tools which makes administration of groups more effective, improves member communications and saves organizers time. They say they differentiate from sites like Ning.com as GroupSpaces is specifically focused on real-world groups. “GroupSpaces is not a social network, the key difference with sites like Ning is that every member of the network needs to sign up for an account and password, whereas on GroupSpaces only the leaders need to sign up for an account”, said Langer. The company currently has over 500,000 group memberships across thousands of groups from over 30 countries and the revenue model is a combination of premium accounts, targeted advertising and transaction commission from payments made through the site. The investors in this round include Mike Volpi at Index Ventures who led the round, and Dave McClure, Chris Sacca, Simon Levene, Quincy Smith, Meagan Marks and Ariel Poler. Read next: Hidden feature in Mac OS X: use 2 WiFi networks at the same time!